The Grand Prix was instituted during the FIDEM congress in London in 1992. A jury chosen by the Executive and Consultative Committee is to look at all the medals exhibited during a congress exhibition. The jury has to follow a certain number of criterias and chose the medal and artist they believe answers best to the criterias. The Grand Prix is then awarded and the winner revealed during the final diner of the congress. Since 2007 FIDEM awards its FIDEM at 70 prize. It was created for the celebration of FIDEM's 70th anniversary. 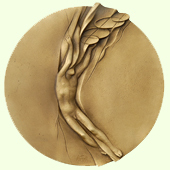 The prize is given to people for their support of the art of the medal.